The top-ranked players in women’s tennis may have established themselves in 2017 – and over the years – as the best in the sport, but early on in the 2017 season, have all suffered early losses at their respective tournaments. Following on the heels of Serena Williams’ loss at Auckland’s ASB Classic yesterday to compatriot Madison Brengle, it is World No. 1 Angelique Kerber who has lost her quarter-final match against Elina Svitolina of Ukraine at the quarter-finals of the Brisbane season opener. World No. 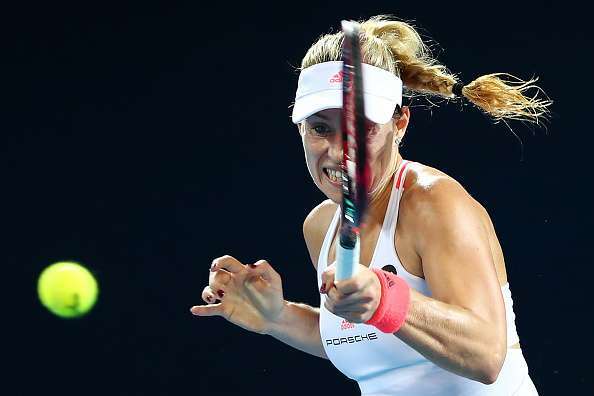 1 Angelique Kerber had a scintillating, incredibly consistent 2016 season, and looked to get a strong start to the new season, but has today lost to Elina Svitolina at the quarterfinals of the Brisbane Open in Australia. Kerber did not look to be in optimal form in her match yesterday either, surviving a scare from cricketer turned tennis player Ashleigh Barty; the 271-ranked Australian completely dominated Kerber in the second set of the pair’s match, hitting winners from all over the court as Kerber struggled to keep up. Although the German put the pressure on in the third set to get a win, she was outclassed today by Elina Svitolina of Ukraine – this time with the tables reversed. It was the sixth-seeded Svitolina who won the first set convincingly, with Kerber clawing back for the second before Svitolina pushed on to win the third set. Svitolina last defeated Kerber in Beijing in 2016, and carries her good form into the new season.